'Ice Age' is the sound of a rejuvenated, refreshed band and a very welcome return. It's been just over ten years since the Leicestershire-based band Burn released their well-received third album 'Global Warning'. The ensuing tour culminated in a memorable appearance as the Sunday opening band at Firefest V in 2008. Unfortunately, the members drifted apart soon afterwards, but the nucleus of brothers Barney (keyboards) and Marc (bass) Stackhouse, along with guitarist and principal song-writer Phil Hammond, decided to resurrect the band in 2014 and began demoing songs. Original vocalist Jeff Ogden and lead guitarist Julian Nicholas ruled themselves out of the reformation, but the remaining members have pulled off quite a coup in Melodic Rock circles by enlisting renowned vocalist Steve Newman and gifted guitarist Chris Green (Tyketto, Furyon, Pride) as their replacements. 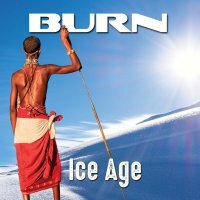 With MelodicRock Records supporting their comeback album 'Ice Age', the future for Burn is looking bright. I know I'm in the minority here, but I admit I've never been a fan of Newman's solo work. Clearly, he is a talented vocalist, but his music has never really struck a chord with me, however, his superb performance on 'Ice Age' exemplifies exactly why he was approached by the band. As for Green, I've been an immense fan ever since I first clapped eyes on him back in 2002 when I first saw Pride (now that's a band I would love to reform!) and his involvement is the icing on the proverbial cake. 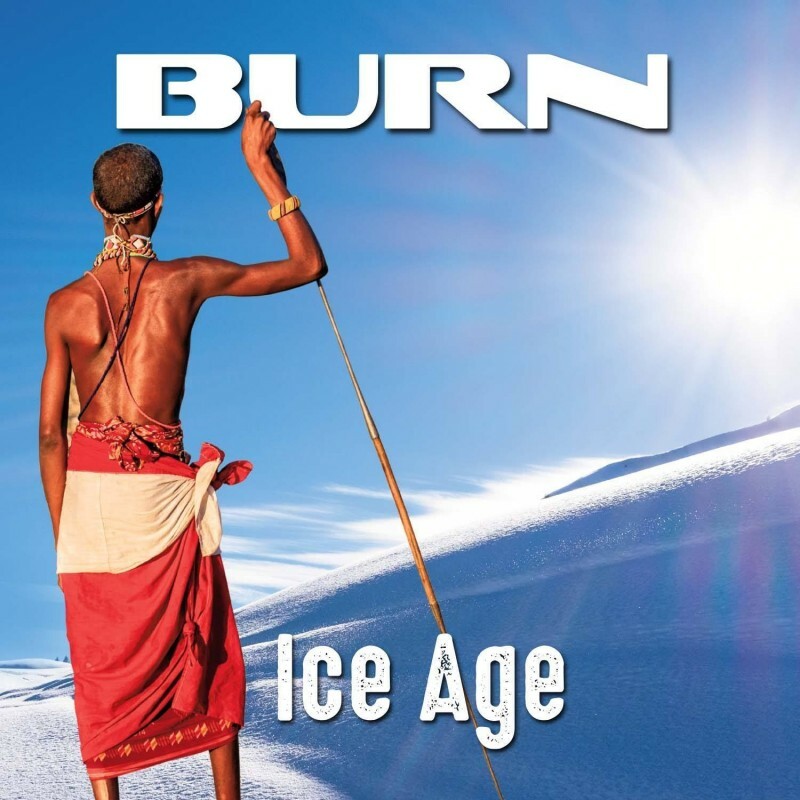 If 'Global Warning' was Burn's heaviest album to date, then 'Ice Age' picks up that baton and runs with it, encompassing a thoroughly contemporary Hard Rock sound that perfectly blends powerful riffs and modern keyboard textures that bring to mind a less Progressive Threshold. It contains the type of classy melodies and harmonies that hark back to the eighties, but without ever sounding like a throwback. The expansive arrangements allow Green to express himself in a way I've not heard since his Furyon days. Although the two new members will undoubtedly provoke attention, the Stackhouse/Stackhouse/Hammond backbone of Burn should also be equally acknowledged for this masterpiece of an album. With only the piano-led ballad 'Wasteland' as respite, the impressive likes of 'Irontown', 'Jealousy', 'The Girl Who Wanted Everything', 'Punishment Of Lust' and '20/20' explore a myriad of moods, abounding with smart, thought-provoking lyrics. Coupled with a scintillating Tobias Lindell (H.e.a.t, Europe) mix, 'Ice Age' is the sound of a rejuvenated, refreshed band and a very welcome return!